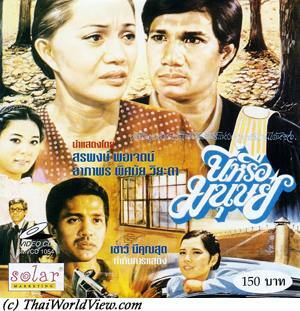 Some Thai drama movies (หนังชีวิต) deal about contemporary issues such as family life (poverty, kinship, filial love). 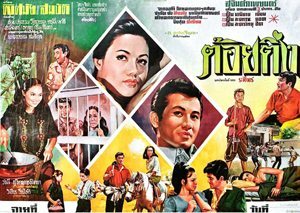 A popular topic is the love of the mother towards his children and the reciprocity that is expected in Thai society (a boy has to become a monk to bring good deeds to his parents and so on...). The mother is always sacrosanct and represents morality. She cannot be a source of evil. 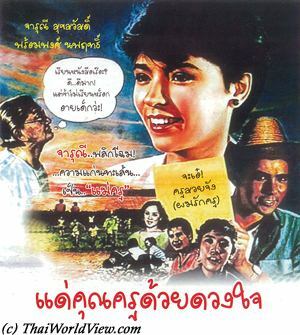 During the 1980s, the drama type movie appealed particularly to young women and focused on family, love and money in the context of issues around tradition and modernity. 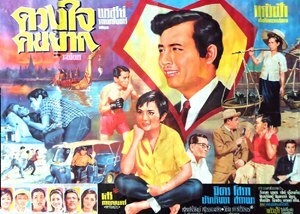 Modern drama movies focus on family tension, which has become a popular theme. 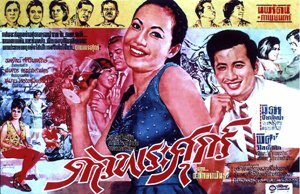 Her parents are divorcing but young girl Anchalee (อัญชลี) has to stay with her father despite her wish to stay with her mother. Anchalee stays with her father and grandmother in a remote area but she really misses her mother. The mother tries to suicide herself as she feels left out but a doctor helps her on time. 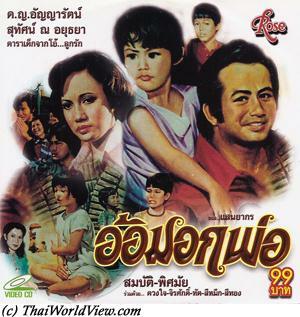 The mother finally marries again with a businessman and has another child called Wanchai (วันชัย). 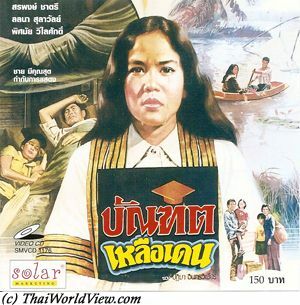 The mother gets back Anchalee. Wanchai doesn’t get on well with Anchalee but he loves her secretly. Anchalee meets Chai but her mother obstructs to this relation so Anchalee decides to flee with him but then she realizes he is not a good man. 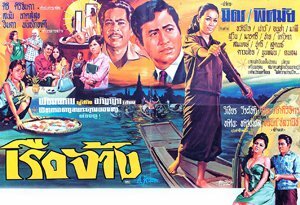 They split and Anchalee doesn’t dare to come back to her mother and opts for suicide. She is saved on time. Chai realizing his mistake goes back to Anchalee and they stay together happily. 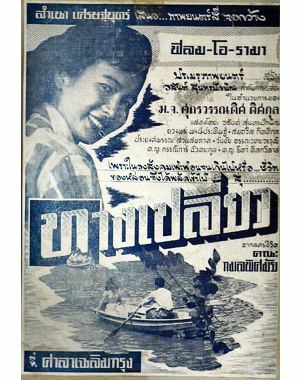 Thai movie “Thang Pliaw” / ทางเปลี่ยว was released in 1955. Only a 9 minutes extract is left but image quality is still very good and colorful. 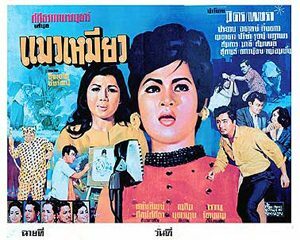 Main actress is ยวงพร พงษ์ประดิษฐ์. 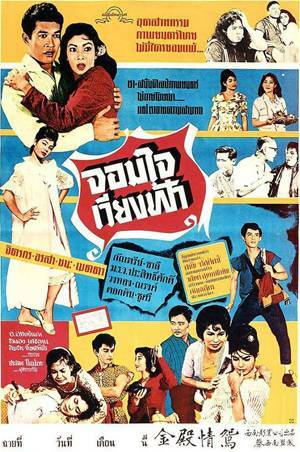 The leading actor is วสันต์ สุนทรปักษิณ. 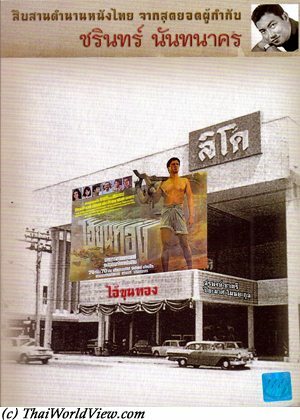 As movie director, he got the first Thai cinema award (ตุ๊กตาทอง) in 1957. 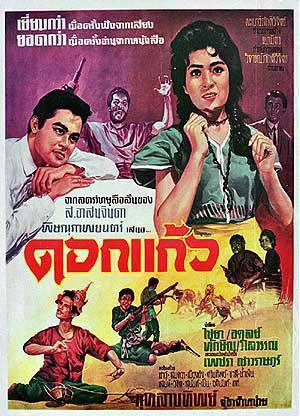 Thai movie “Thang Pliaw” / ทางเปลี่ยว was a 16mm movie and was the first Thai movie in cinema-scope format (ซีนีม่าสโคป). Four friends are living together, 3 men and one woman, Pen (เพ็ญ). They rent an old boat from Pen’s father and repair into a boat house to live on it (เรือนแพ). 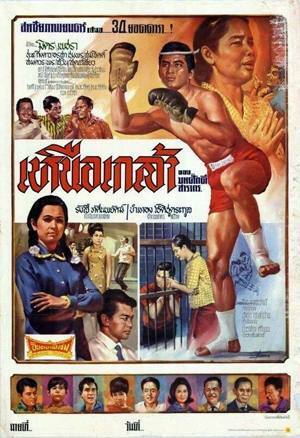 Kaew (แก้ว) wishes to become a Thai boxing champion (นักมวย). Lin (รินทร์) wishes to become singer and songs compositor. Chen (เจน) wishes to finish first grade his studies and become a policeman. Pen is the lady. All three friends secretly love Pen. 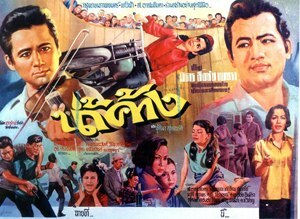 Many songs are featured in the movie. Kaew wishes to participate to real Thai boxing competition instead of only doing trainings. He is very hot temper. A local ruffian head, Ekarat, finds a fight for him and he wins. A song master hears Lin's beautiful voice and wishes to recruit him. A thunderstorm wrecks their home and they nearly escape to death. Kaew saves Pen from drowning so winning her heart and love (หนูเป็นของเขาแล้ว). Kaew wants to win big money to take care about Pen but he needs to do illegal things such as losing a match. He refuses to do so causing Ekarat's ire. He meets another Lopburi influant man. He gives 40 000 baht for his wedding with Pen. 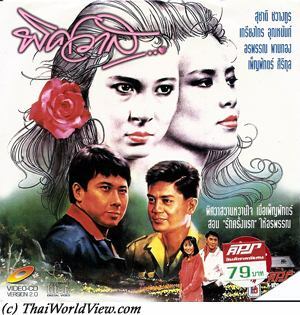 On the way to Chiang Mai for the wedding, Kaew discovers that Pen's father is preparing the wedding with somebody else! Upset he disturbs the ceremony and shots the groom. 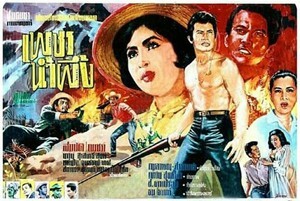 He has to flee and becomes an outlaw (ผู้ร้าย). 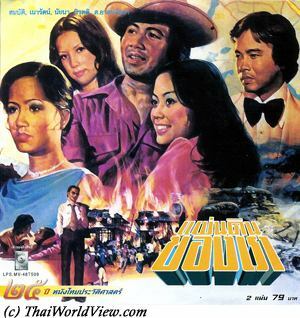 The four friends have gone different paths (ตามดวง). 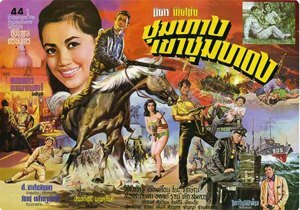 Kaew gets friend with another ruffian. They rob banks and barges together. 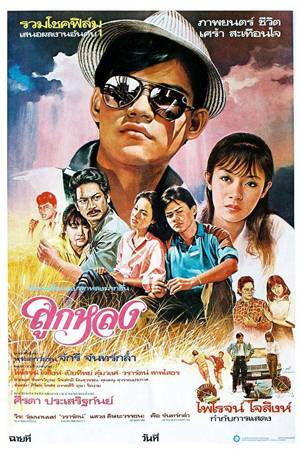 Chen, who is now a policeman, needs to catch Kaew as it is his duty. 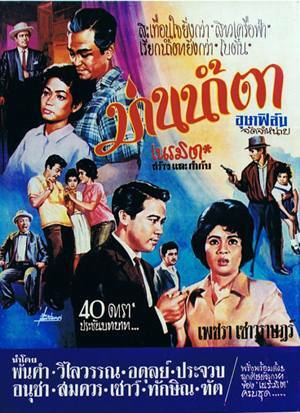 He tries to convince him to surrender but no to avail as Kaew is afraid to go twenty years in jail. Kaew and Pen still meet together. 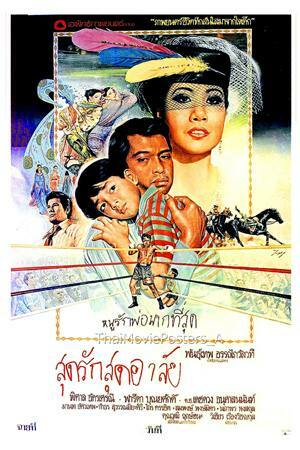 Pen wishes Kaew to stop robbing (หยุดปล้น). 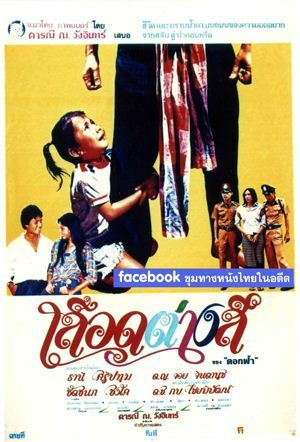 Even if Kaew wishes to stop, his ruffians friends discourage him saying no woman will wait for him so long in jail. On top of this they are still chased by the police so no time to rest and think. 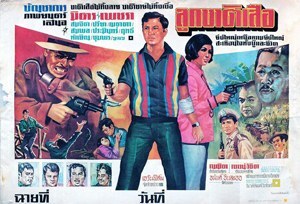 During a singing performance, Lin is shot and killed by one of the ruffians. Kaew cannot help on time. 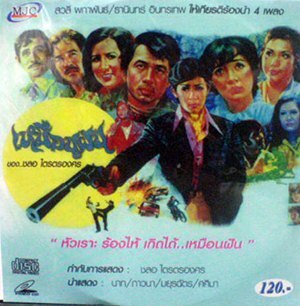 Chen believes Kaew is the one who shot Lin. They all meet on their format boat house. 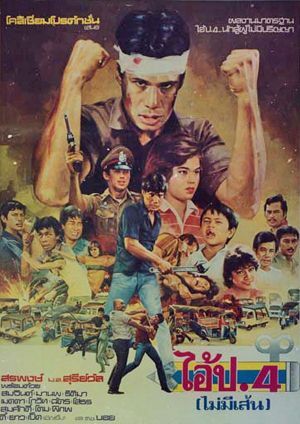 Kaew accepts to surrender but other ruffians shot him and Chen. 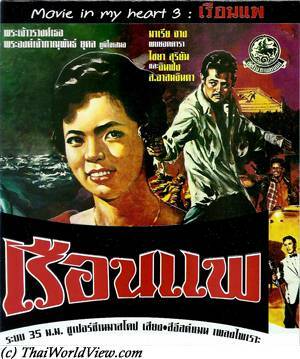 The movie ends tragically, Kaew dying while sending the boat on the ruffian to smash him. Only Pen survives. The friendly happiness is no more. 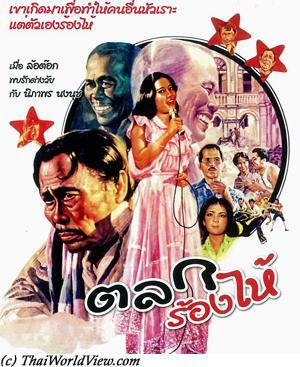 เรือนแพ is the first officially restored Thai movie by USA in years 2006-2007. 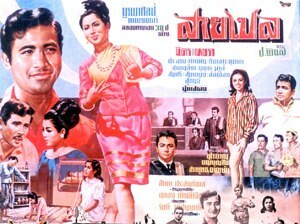 It is a 50 years old movie and the VCD from “Phanmitr" (พันธมิตร) collection company includes a copy in very good condition. 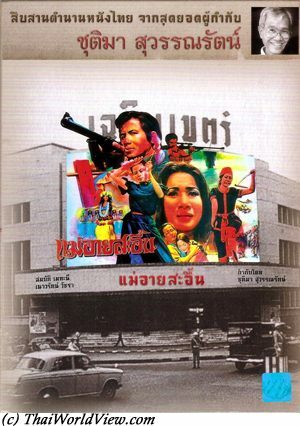 It was the first Thai movie in 35mm with songs and not dubbing like 16mm movies. 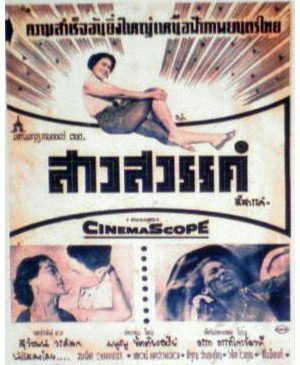 Even the Thai King went to watch the movie in 1961! 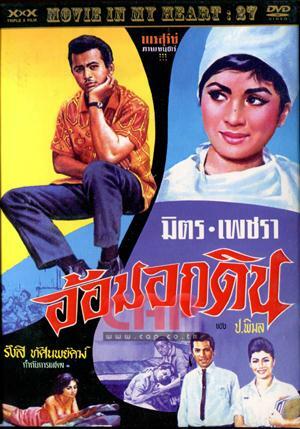 Chaiya Suriyun was the first star to win three consecutive Thai oscars (รางวัลตุ๊กตาทอง) in years 1962-1964. 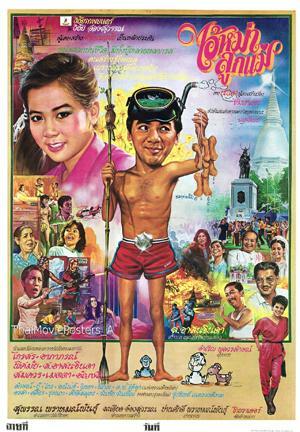 His first Thai oscar was thanks to this movie “เรือนแพ”. 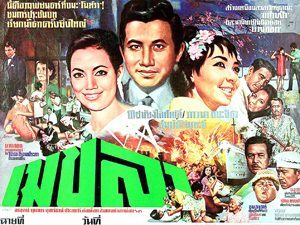 The movie got 3 oscars (best actor, best supporting actor, best movie). 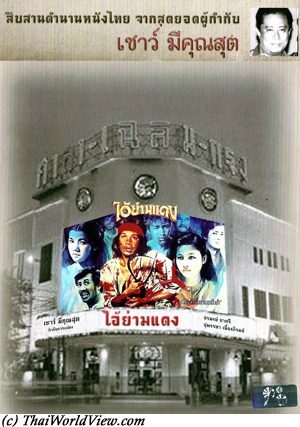 It was adapted many times as Thai TV series and another time for cinema in 1989 with Santisuk Promsiri. A young woman, Fong, is taking care of a small misty hotel in the countryside with her mother. It is Thailand rural area with buffalo carts. Fong is handicapped and cannot walk properly. Her mother with the help of a domestic helper drugs and kills the customers to steal their belongings. Fong feels very guilty (เราไม่บาป). The parents had a son, Siaw, also but he left home many years ago following a conflict with his father. As robbers stole their savings, the family needs to continue their sins. The new victim is a medicine salesman. They put poison in his drink, then rob his money, throw the body in a canal and burn his belongings. Fon recalls the day when the robbers attacked the hotel. They were crazy and violent similar to the movie “A Clockwork Orange”. The father was shot and killed. Fon was gang raped and the mother was hurt. Fon is handicapped since that day. They have paid for their sins. But where is the son? Right now Siaw is a successful engineer working in aeronautics. The mother wishes to stop but the daughter is willing to continue as her dream is to see the sea so they need more money. They have arguments but Fong is now used to it (ชินแล้ว). Meanwhile the son, enjoying seaside, wishes to go back home after 20 years to see his family. The son has decided to go back to see his mother but will not tell his real identity first (จะเล่นละครกับแม่). Seven bodies have been found recently around the village. The local marshal has no clue. Fong is always afraid of three local women, who participate in cursing rituals as only evil can kill so many people. A modern couple comes to the hotel. Fong is jealous of the girl. At nighttime the couple is drugged but only the man drank tea. 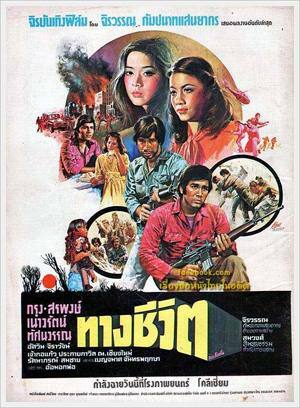 Realizing their mistake, the cruel family needs to kill the young lady but she resists. A tragic chase happens in local Khmer temple ruins. The lady is finally killed by wild dogs. 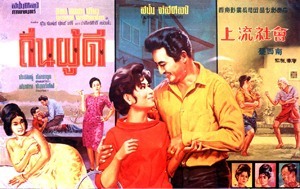 Siaw, the son, and his girlfriend arrive in the small city. As his girlfriend is sick, Siaw finally goes alone to the remote hotel. Having left his home so long ago he doesn't dare saying who he is. Still under the failure of the previous killing, the family doesn't want any other customers but he makes the mistake to show that he has a lot of money. He wants to be friendly (กันเอง) with the family. 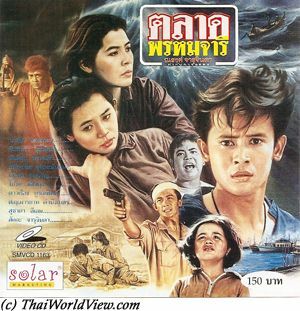 There is an impressive actor performance from Sorapong Chatree playing the son. At nighttime they give him the deadly tea and throw his body in the local river. Meanwhile the young lady is not dead and reaches the small town. She warns the sheriff. 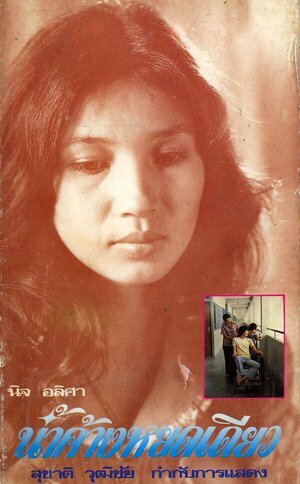 When keeping the dead’s belongings and his ID card, the mother realizes he was Siaw, her son. Saddened, she eats the same drug and throws herself in the river. The sheriff comes to arrest them but it is too late. 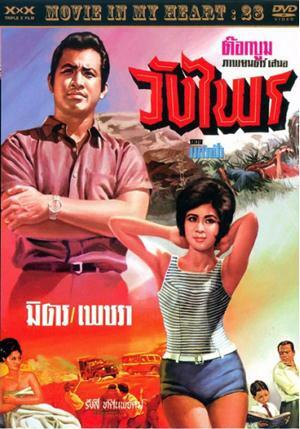 Muang Nai Mok movie, directed by Permpol Choei-arun, is adapted from Jean Paul Sartre's play. There are reminiscences of Western spaghetti scenes atmosphere. 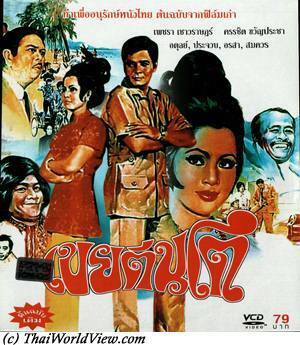 Thai movie เลือดต่างสี was released in year 1979. Main actors and actresses are unknown. Movie director is ดารณี ณ วังอินทร์. 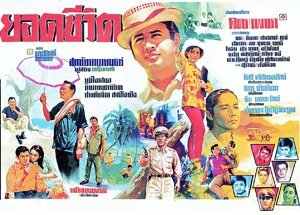 The movie is lost in Thailand but a sequence in 35mm format can still be seen. The picture is very damaged and reddish. It lasts thirty-five seconds. 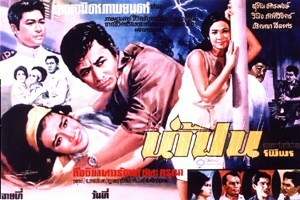 During the short sequence, a mother delivers a baby but finally dies. A young woman is arrested by two policemen. 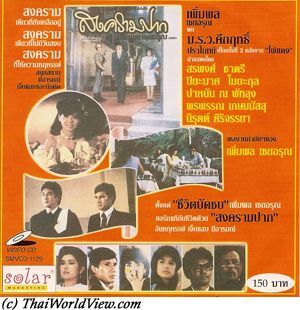 Some Thai drama movies (หนังชีวิต) deal about madness. A young woman is marrying a young man during their studies but the marriage is a failure. The young woman is getting addict with alcohol and cigarettes. She starts to torment her own daughter. Will her meadness lead to kill her own daughter? 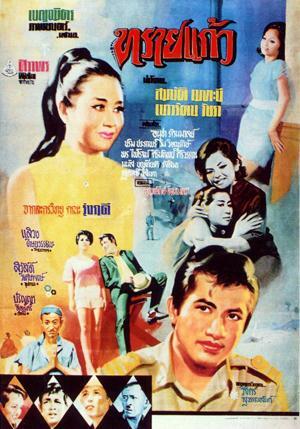 This Thai Drama movie page 1 contains 89 records.